Olivia Steele’s Lo Que Sea, Pero Contigo, 2019. 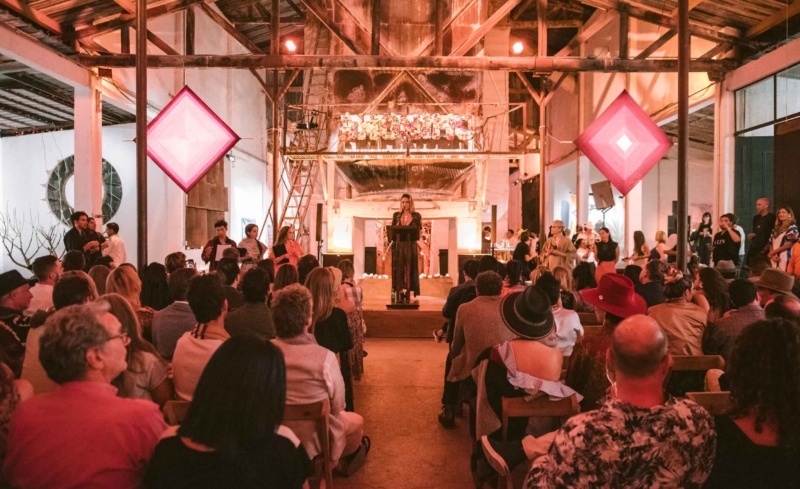 Anónimo isn’t your typical auction. Collectors and investors used to appraising the lots and considering potential return-on-investment before placing their bids will be shocked to find the artist’s name conspicuously absent from every label. 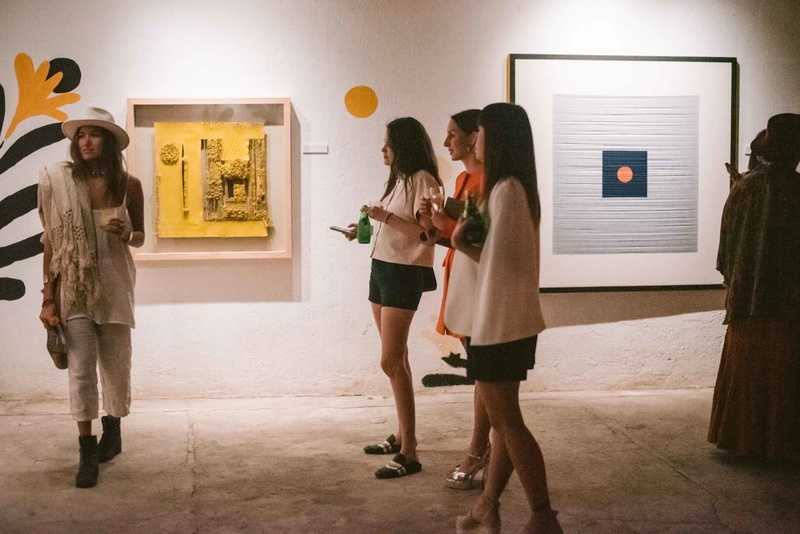 The auction’s sixth edition on March 7 took place at La Calera, a converted former lime factory in the UNESCO World Heritage City of Oaxaca, Mexico. 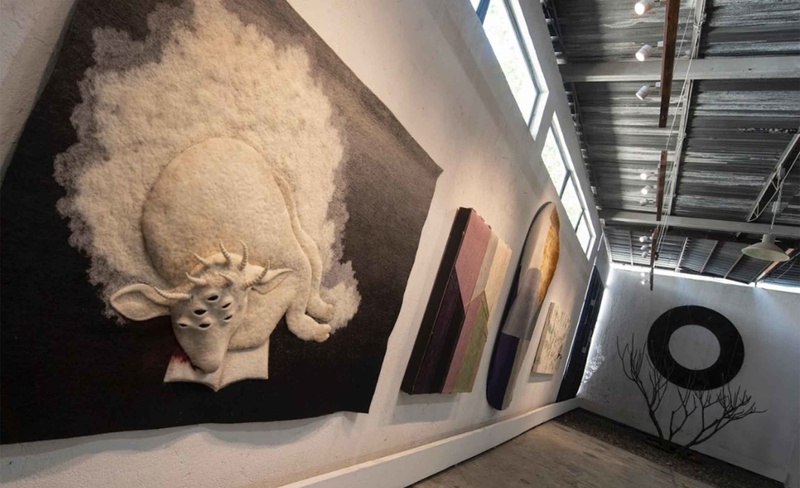 On the block were representations of the region’s emblematic textiles in addition to contributions from nationally and internationally renowned artists. 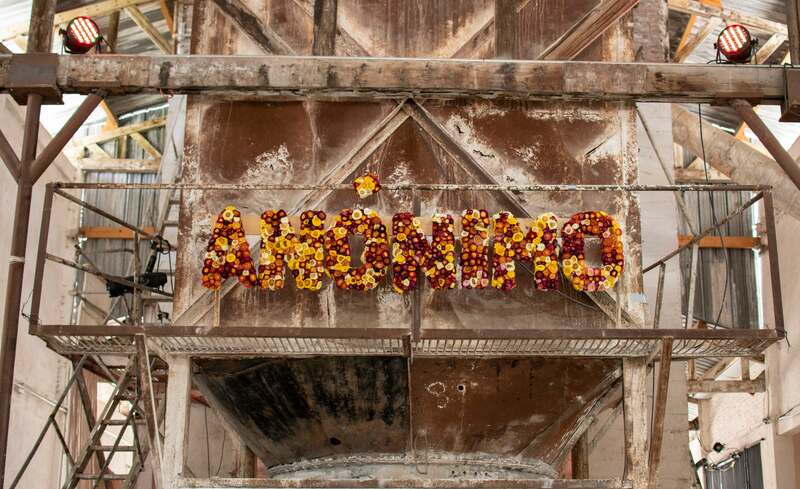 Anónimo Oaxaca raised $90,000 from the sale of 25 pieces. Proceeds went to Don Remigio Mestas, a local textile curator who has worked for decades to preserve the region’s indigenous weaving tradition. Alejandra Martínez, the founder and managing director of Anónimo, in the Oaxaca Edition. 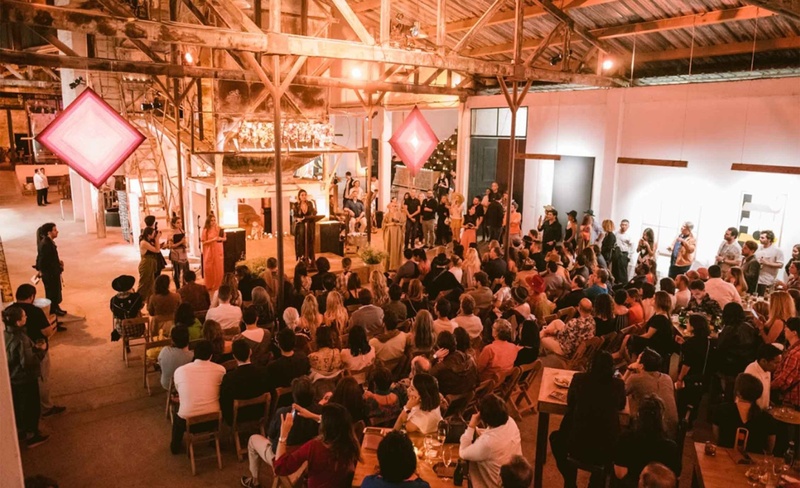 Behind everything Anónimo is Alejandra Martínez, the auction’s visionary founder and managing director, who wanted to create a space where “personal and emotional appreciation” drove each bid. Anónimo is based on this fundamental hypothesis: that minimizing the business component, through artist anonymity, will allow for genuine engagement and relationship building between artist and patron. 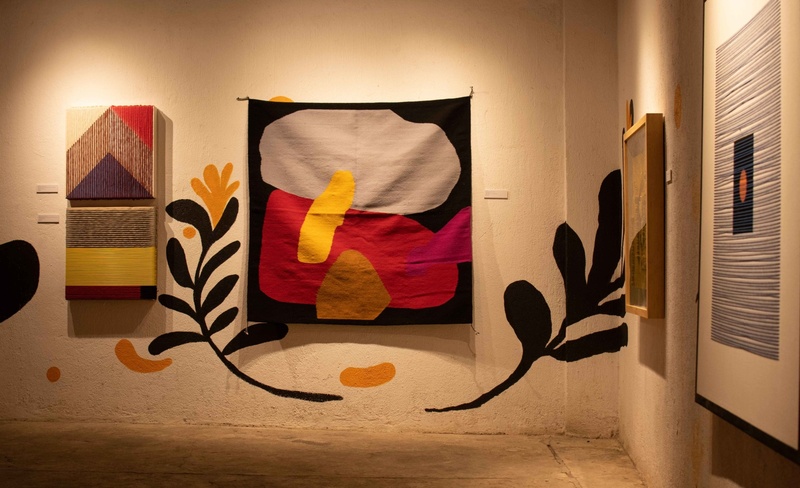 Martínez came to this conclusion after several years of exposure to the art world and its excesses through her participation in Arte Careyes—an art festival in a bohemian beach town on Mexico’s Pacific Coast. 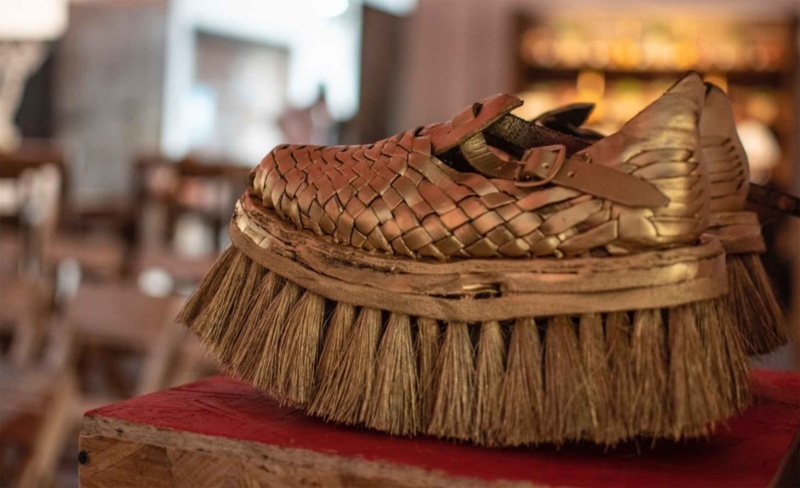 Martínez proceeded to “cash in every single favor” with artists, curators, museum directors and gallery owners to get the Anónimo experiment off the ground. 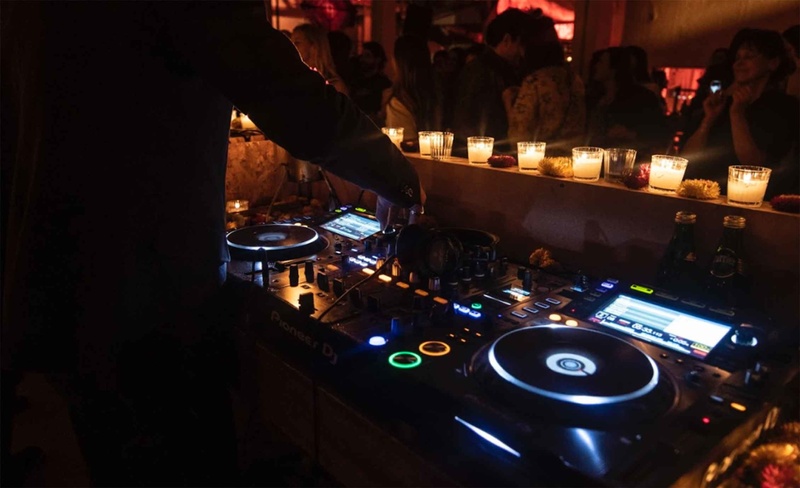 At its first edition in Miami, Anónimo went to prove it was not a one-hit wonder—those events where “only friends come and buy,” as Martínez puts it, before fading into memory. Amidst the Miami’s oversaturated December arts calendar, 90 percent of the show sold. The success of the first international iteration of Anónimo—during Art Basel, no less—catapulted the auction with the gatekeeper institutions and resulted in an invitation to open the newly renovated Bass Museum the following year. Success came easy after that for Anónimo—subsequent Tamayo and Faena editions came and went without a hitch, considerable funds to match. However, Martínez worried that the auction was embracing “capitalism to the fullest” and losing sight of the experiment’s driving vision. 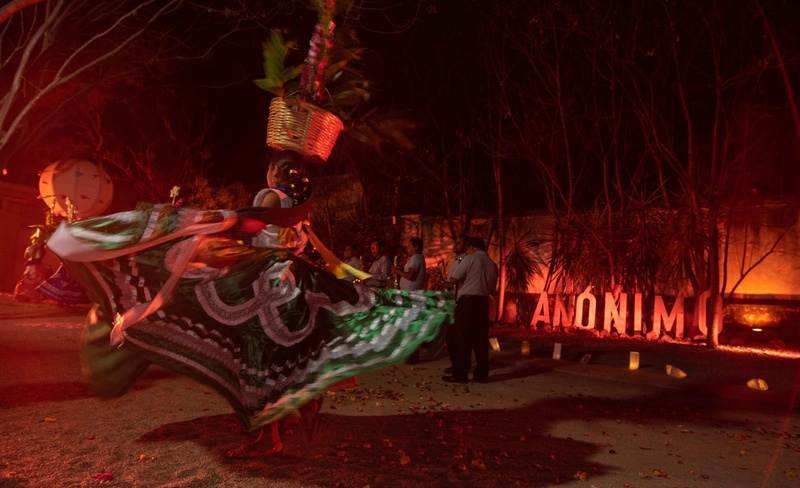 An invitation from the Oaxacan state to host an auction gave Anónimo an opportunity to return to its roots. Anónimo Oaxaca was driven by Martínez’s fearless and radical attitude. Her team scouted local talent and even cut curators out of the picture, fueled with the mindset that “we didn’t care who did the piece, we just cared that the piece was beautiful.” According to Martínez, “The whole ride really reminded us of why we are doing it in the first place.” This Anónimo’s sixth edition was another masterstroke, further establishing it as the art auction that upends any assumptions you had about art auctions. Before Anónimo Oaxaca even concluded, Martínez was visualizing what comes next. Already on the calendar is a Botanical edition at the Botanical Gardens in Mexico City in September, a collaboration with Desert X, a site-specific contemporary art exhibition that is held in Palm Springs every year, and an auction at New York City’s famed Museo del Barrio. An edition focusing on ceramics in the Yucatan city of Merida is also in the works. Expansion to Europe is certainly not far behind, but the possibilities are limitless. One thing is certain: under Martínez’s innovative leadership, Anónimo will continue to make a name for itself. Relive the Anónimo experience below. Images Courtesy of Anónimo.